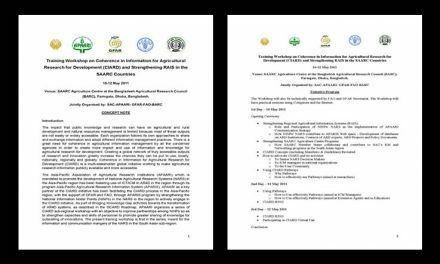 Department of Agriculture (DOA), Department of Agricultural Extension (DOAE) in collaboration with Horticultural Science Society of Thailand (HSST), Food and Agriculture Organization of the United Nations (FAO), King Mongkut’s University of Technology Thonburi (KMUTT), Thailand Research Fund (TRF), National Research Council of Thailand (NRCT), Chantaburi Province and International Society for Horticultural Science (ISHS) are organizing the International Symposium on Durian and other Humid Tropical Fruits on 2-4 June 2015 at Maneechan Resort Hotel, Muang District, Chantaburi Province, Thailand. Registration fees will cover attendance to the scientific sessions, professional excursion, tea/coffee, and lunch and reception dinner. 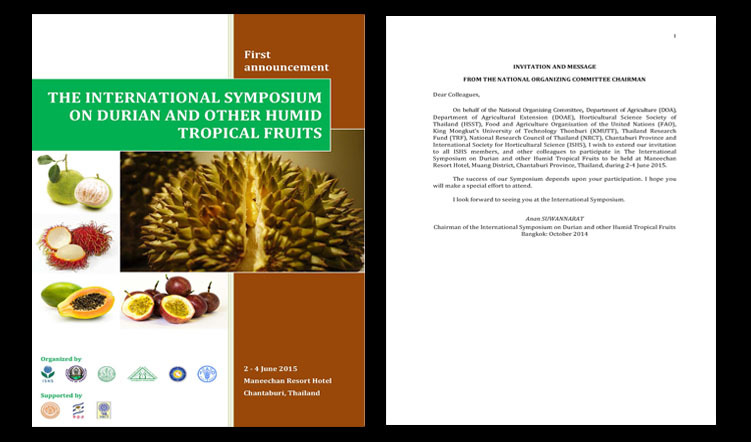 Besides, for those who pay full fee (all ISHS members and non-ISHS members) will receive a copy of symposium proceedings that will be published as a volume of Acta Horticulturae. Please note that registration form received without payment does not constitute the registration. Upon acceptance of registration and payment of fee, a “Registration Letter” will be issued to the participant. The National Organizing Committee does not have funds available to offer for travel assistance and accommodation. However, it may be possible to grant funding for a limited numbers of ISHS member participants from developing countries.